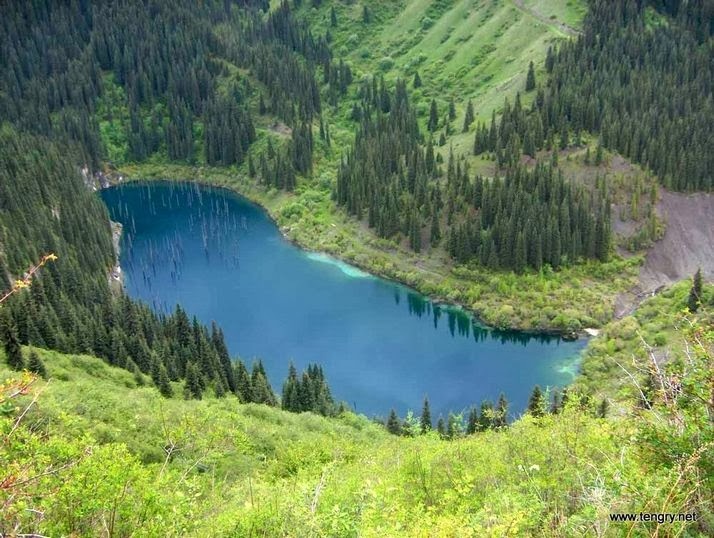 Kaindy Lake (Kaindy means “lots of spruce”) is a 400 metre long lake located in the Tianshan Mountains of Kazakhstan that reaches depths near 30 metres in some areas. Kaindy Lake is about 129 km from the city of Almaty. Why this lake is so unique and popular? This lake is famous for its beautiful colours and dried fir tree stumps sticking out of it attracts many people to enjoy the beauty and mystery of the place.